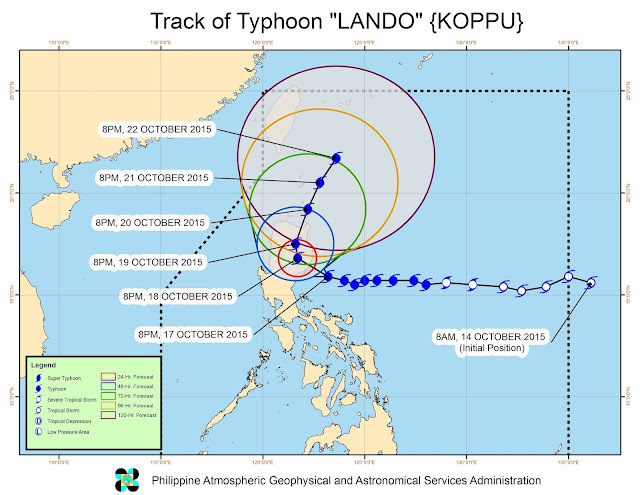 “Typhoon Lando” with international name “Koppu”, has already landed the country and its further intensified as it es to threaten the provinces of Aurora, Isabela and Northern Quezon. As of 1:00 am October 18, Typhoon Lando makes a landfal on the province of Casiguran, Aurora, and base on the Dost_pagasa forecast track, the Typhoon possibility of staying in the landmass of the country is untill Tuesday. As of 4:00 am October 18, Typhoon Lando, was sighted at the vicinity of Casiguran Aurora (15.9°N, 121.8°E) and it continues to move 335 km East of Baler, Aurora, with a strength of Maximum sustained winds of 175 kph near the center and gustiness of up to 210 kph. The storm is slowly moving West at 3 kph. Based on the track of the various monitoring agencies , typhoon Lando, shows a slow movements in the land of the Northern and Central Luzon due to high pressure area and another storm in the pacific that affecting the movement of Typhoon Lando . Rainfall data of Weather Company, estimate a severe rain storm that will bring by typhoon Lando this weekend which includes the provinces of Baler, Aparri , Baguio , Cebu and here in Metro Manila. 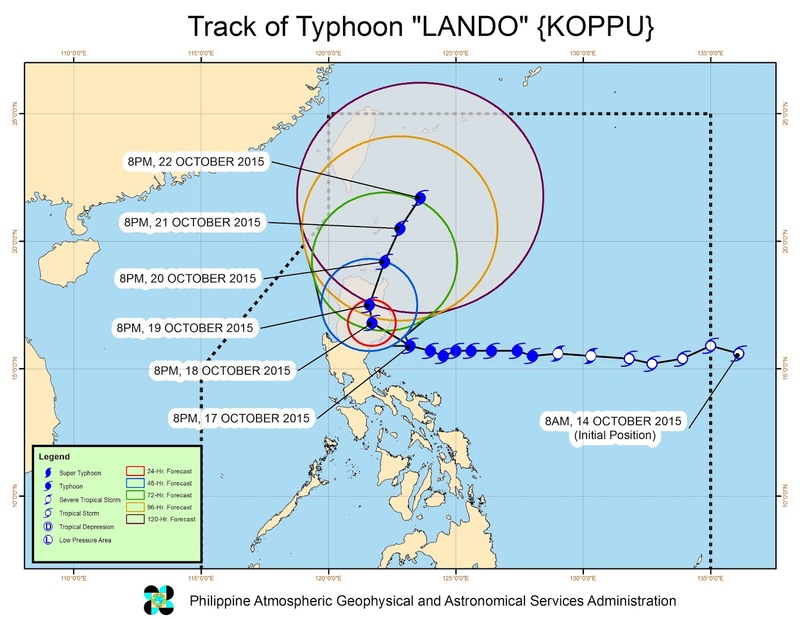 No Comment to " Typhoon Lando Latest Updates And Provinces Raised Of Typhoon Signals "